As Nashville and surrounding Middle Tennessee communities continue to grow, so does the addition of sidewalks, footpaths, and other pedestrian-friendly features near area roadways. While walking is a great way to experience our city, motorists fail to respect the rights of pedestrians all too often and cause serious accidents. In fact, there were 176 pedestrian accidents in Davidson County in 2014 alone. Drivers have a responsibility to operate their vehicles safely, but when a driver is distracted by a cell phone or fails to look both ways before turning, they put everyone else on the road at risk. You shouldn’t have to suffer the consequences due to someone’s negligence. That’s why we’re here to help you. Our pedestrian accident lawyers in Franklin, TN can guide you through the legal process while explaining your rights and protecting your family’s future. And you don’t owe us a thing unless we win your case. If you need help after a pedestrian accident, give us a call us at 615-807-7900​ or complete our online contact form for a prompt response. However, pedestrian accidents can happen virtually anywhere that sidewalks and foot traffic areas are close to vehicle traffic—and they can be extremely serious for the pedestrian. 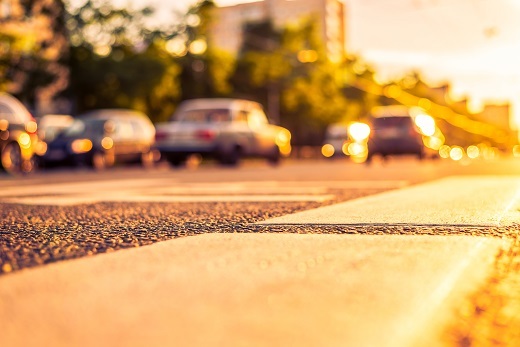 Large bruises, “road rash,” broken bones, spinal and brain injuries, and even wrongful death accidents can result from a car impacting an unprotected pedestrian. And, even more unfortunately, the pedestrians involved in serious accidents are often children and vulnerable older adults. Who Puts Tennessee Pedestrians at Risk? However, drivers can and should be held responsible for the sometimes catastrophic injuries and deaths they cause for unprotected people on foot. And, while it can sometimes involve complicated legal issues, injured pedestrians in Tennessee may have rights to financial compensation for the effect the accident has had on their lives. When a car hits a pedestrian, no matter how obvious is may seem that the driver is at fault, the unprotected victim of the accident often has trouble getting needed compensation from the driver’s insurance company. Although they may be clearly injured and in pain, they may also face unfair blame for the accident, “red tape” that prevents them from moving forward, and even complicated paperwork that could jeopardize their rights. At GriffithLaw, we were insurance adjusters before we chose to only represent victims, which means that we fully understand the difficulties pedestrians face, as well as the tricks and tactics insurance companies use to minimize victims’ claims. If you are looking for an approachable, personable, and local attorney who has the skills and experience necessary to help you pursue your rights, reach out to our Franklin accident attorneys today at 615-807-7900​. We offer a completely free initial case review so that you can share your concerns with us and get answers without obligation. At GriffithLaw, we are focused on helping victims protect and assert their rights, and we will take your concerns seriously.